The event will highlight global innovations in the fields of opportunity, mobility, and sustainability. Virgin Hyperloop One will be exhibiting the feature pods that physically simulate how it would feel to ride a Virgin Hyperloop One system. 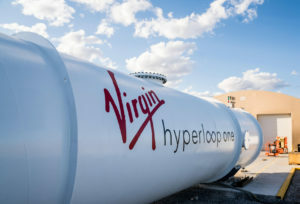 Virgin Hyperloop One’s largest investor DP World will be featured next to the U.S. Pavilion as the Expo’s Premier World Trade Partner, exhibiting under the cargo brand under Virgin Hyperloop One, DP World Cargospeed.